Match ends, Georgia 1, Ukraine 2. Second Half ends, Georgia 1, Ukraine 2. Goal! 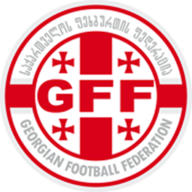 Georgia 1, Ukraine 2. Mate Vatsadze (Georgia). Substitution, Ukraine. Denys Oliynyk replaces Yevhen Konoplyanka. Substitution, Georgia. Kakhaber Aladashvili replaces Ucha Lobzhanidze. Substitution, Georgia. Mate Vatsadze replaces Valeri Qazaishvili. Goal! 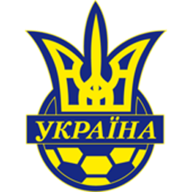 Georgia 0, Ukraine 2. Yevhen Konoplyanka (Ukraine). Goal! Georgia 0, Ukraine 1. Artem Kravets (Ukraine). Substitution, Georgia. Levan Kenia replaces Tornike Okriashvili. Substitution, Ukraine. Serhiy Rybalka replaces Taras Stepanenko. Substitution, Ukraine. Viacheslav Shevchuk replaces Oleg Gusev. Substitution, Ukraine. Artem Kravets replaces Evgen Seleznyov. Substitution, Georgia. Lasha Salukvadze replaces Guram Kashia. Substitution, Ukraine. Anatoliy Tymoshchuk replaces Ruslan Rotan. Substitution, Georgia. Giorgi Chanturia replaces Bachana Tskhadadze. Substitution, Ukraine. Sergiy Sydorchuk replaces Denis Garmash. Second Half begins Georgia 0, Ukraine 0. First Half ends, Georgia 0, Ukraine 0.